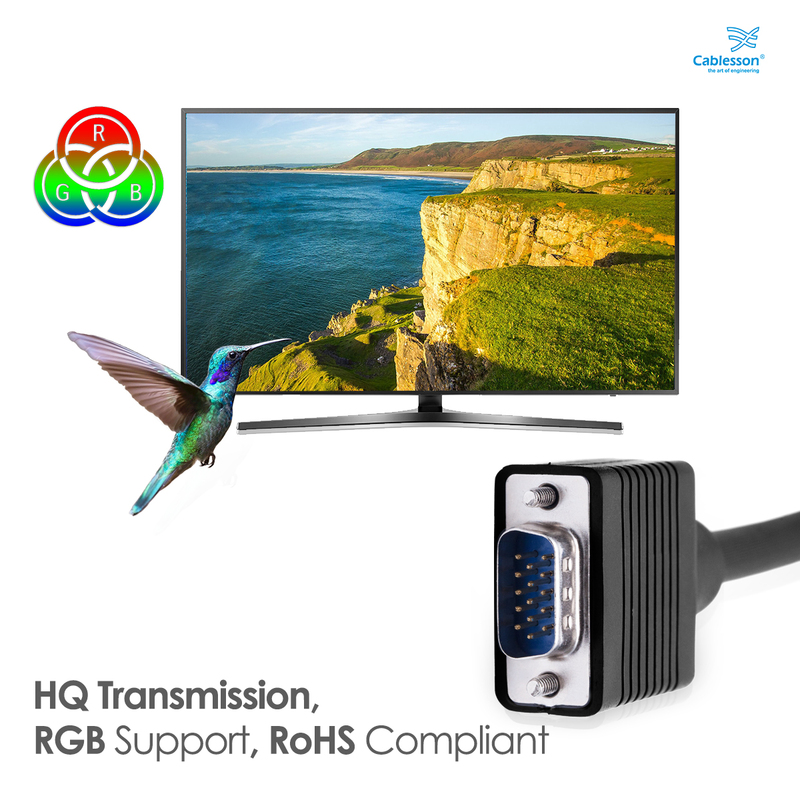 Supports RGB, HQ and analogue signal. 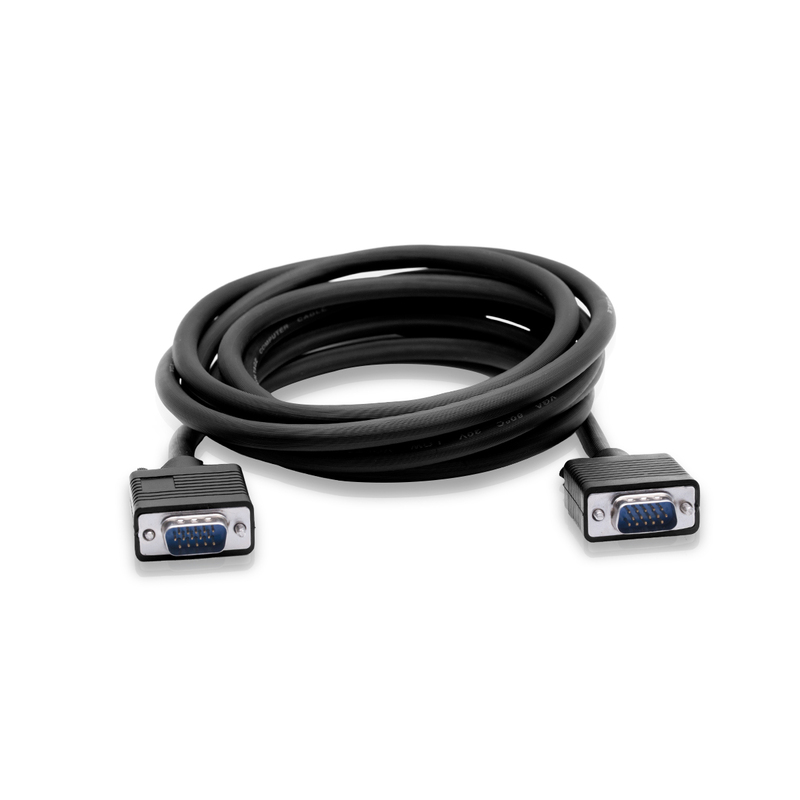 Length: 1.5 to 20m HDMI Cable. 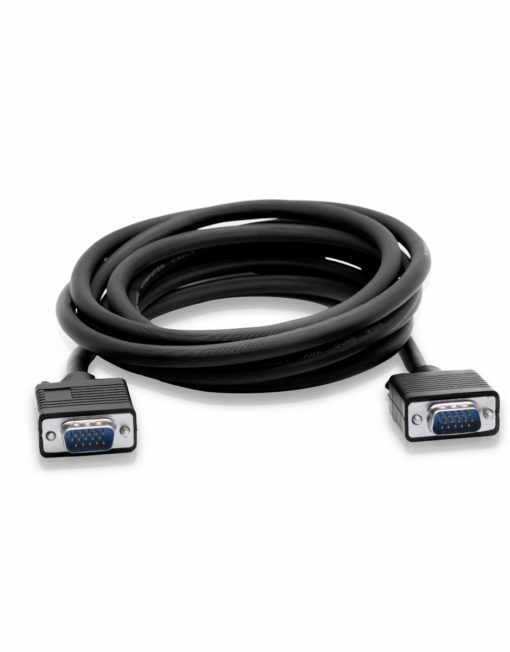 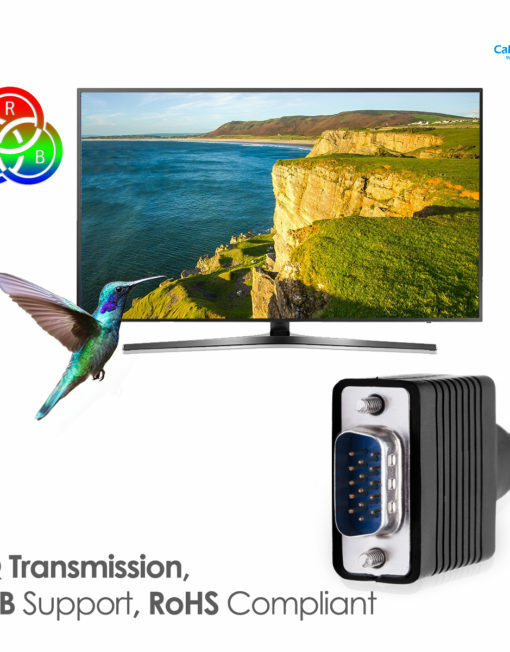 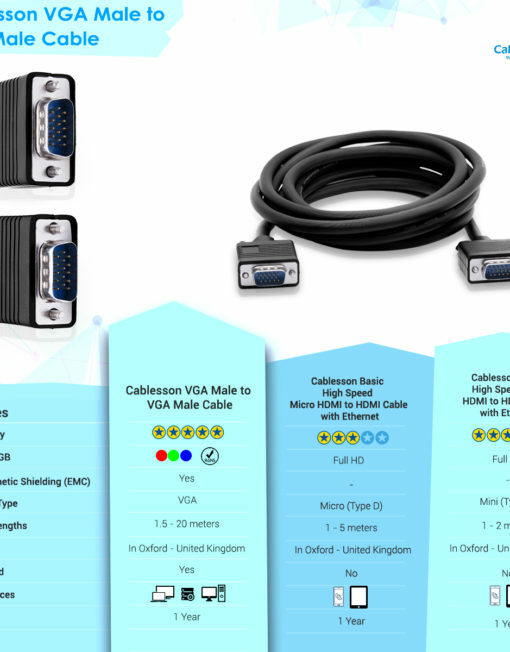 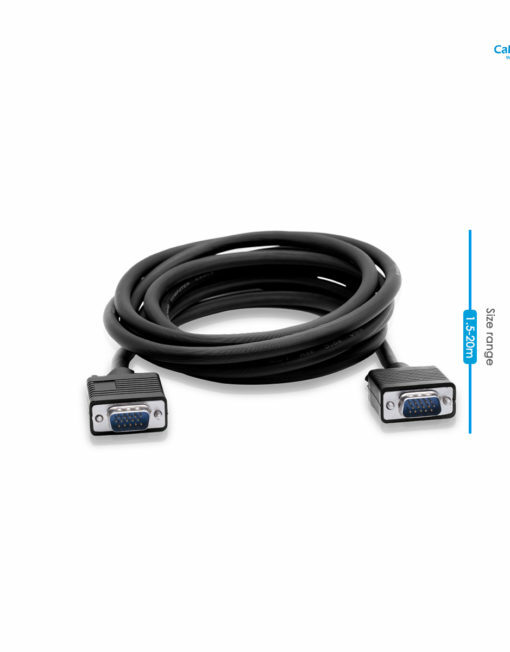 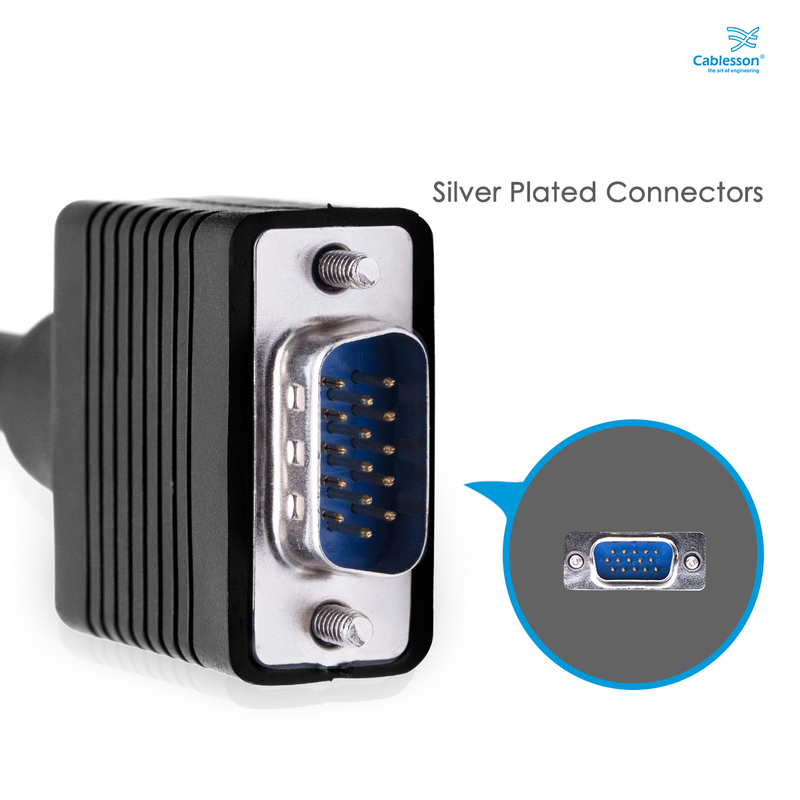 The Cablesson VGA cables have been designed with silver plated connectors to enhance the signal transmission. 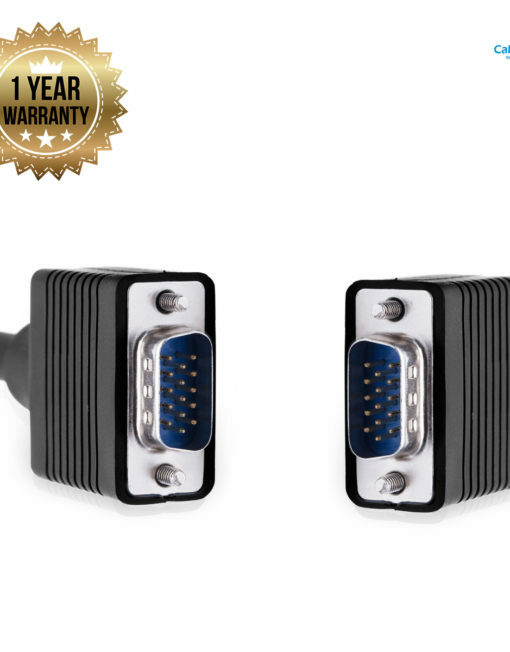 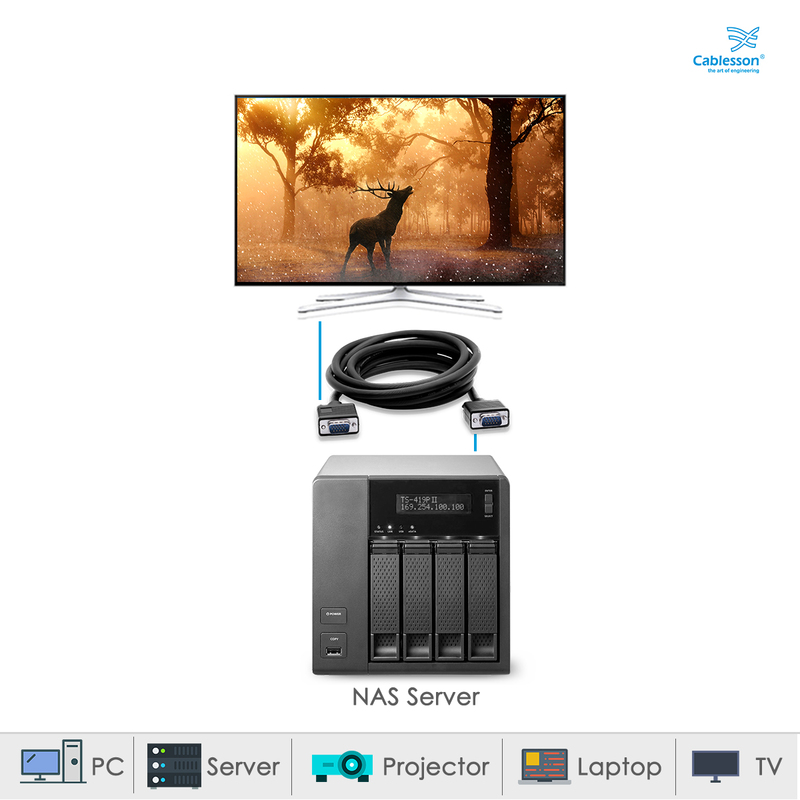 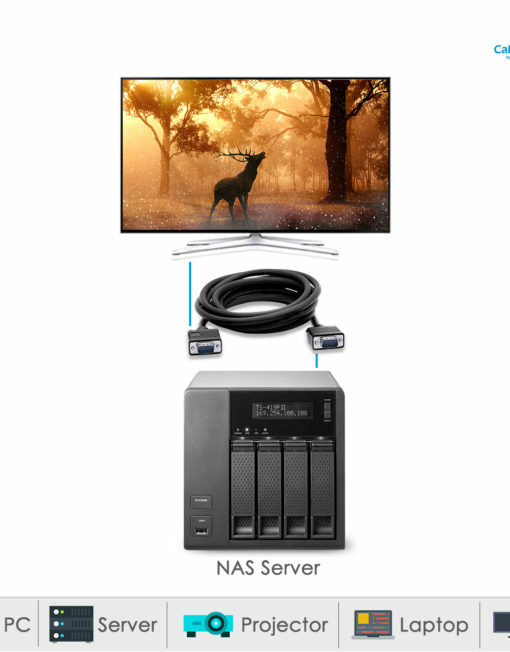 They are compatible with computers, laptops, Raspberry Pi, NAS servers, TVs and different monitors. 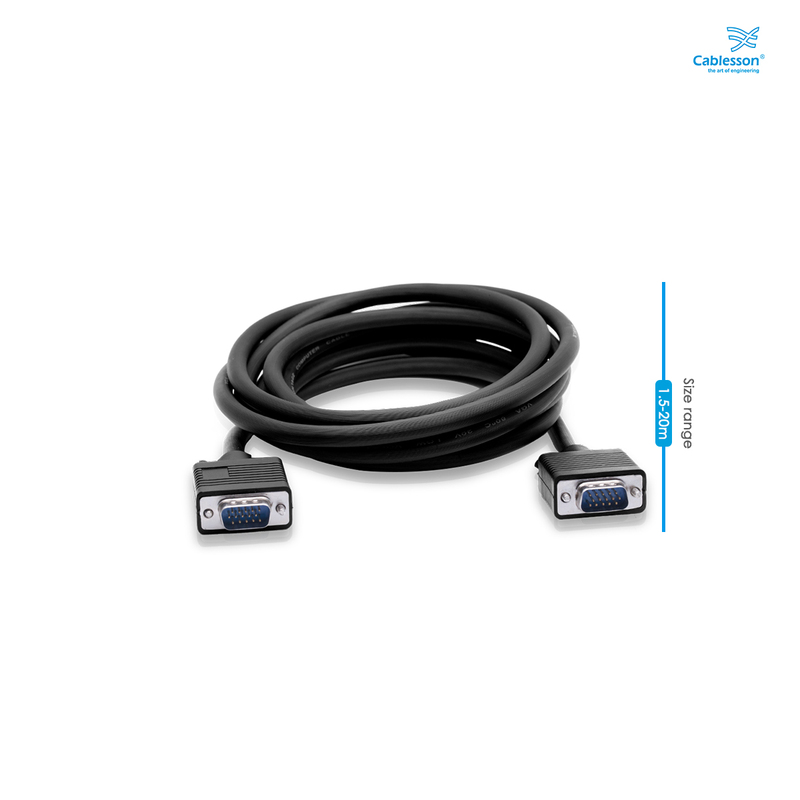 The product features twin thumb screws designed to keep the connectors secure when in use. 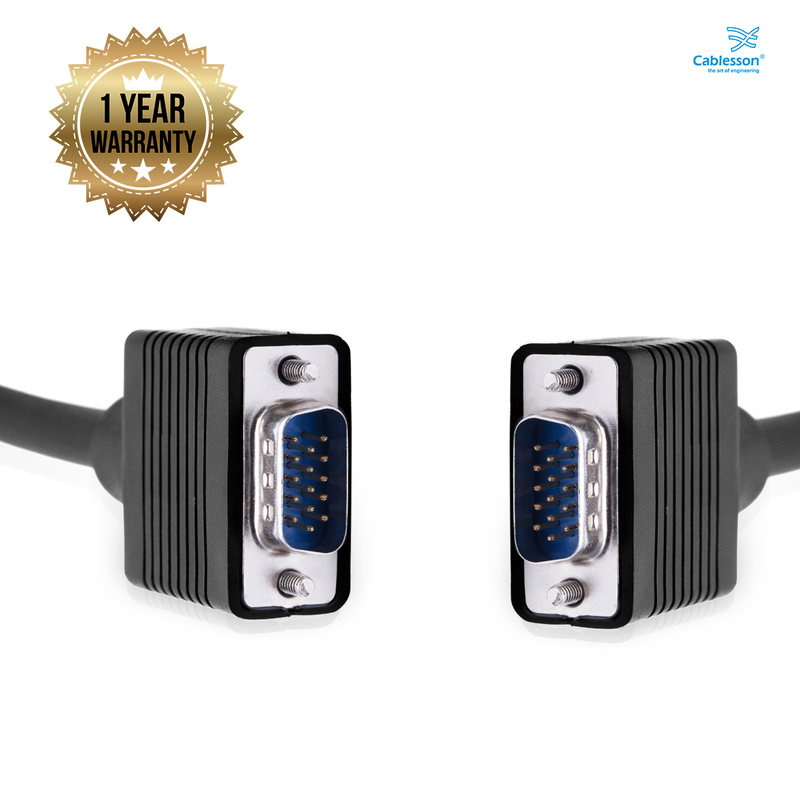 We are so confident with our products that we are offering a 2 year warranty against any manufacturing defects. 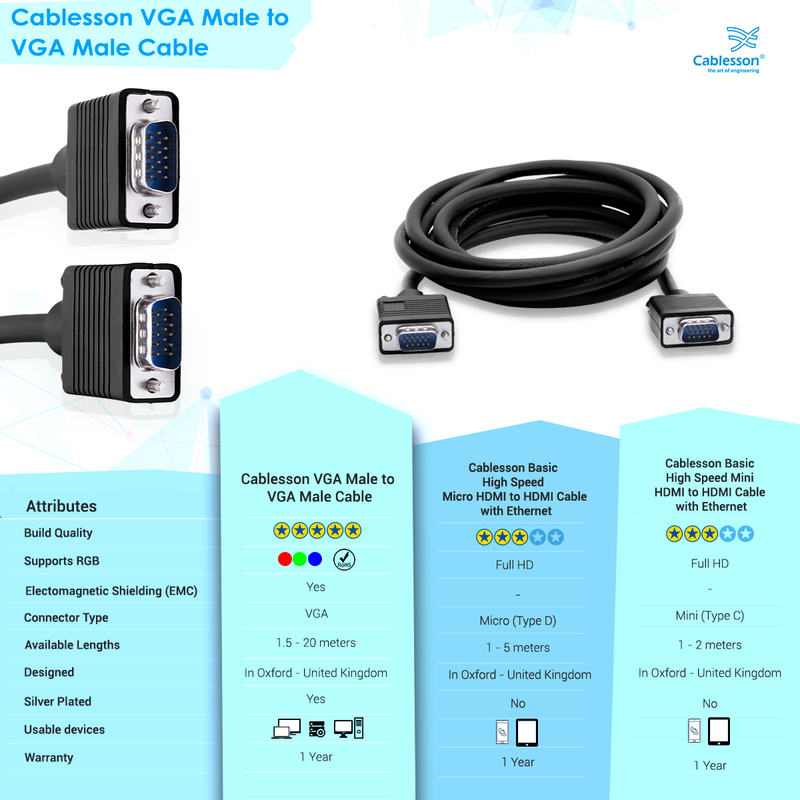 The Cablesson VGA cables are produced to provide pure signal without distortion or loss in signal. 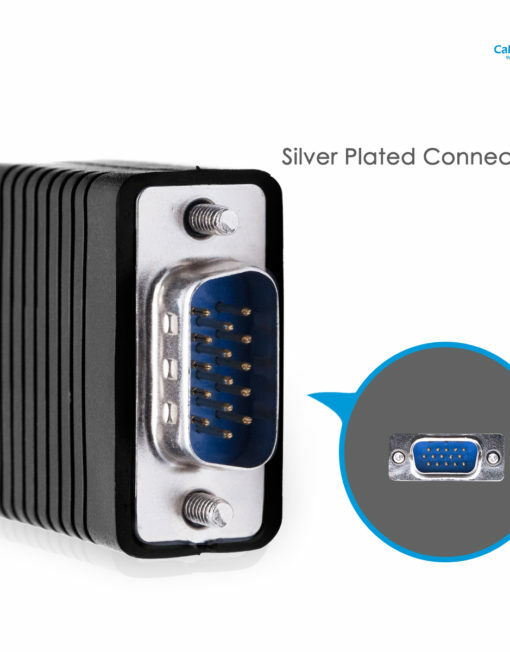 They are made with Mylar foil to provide the best insulation possible and prevent interference.